Closed. Closed Zippers = Good. Closed Rides @ Disneyland = Not So Good. Closed Jump Rings = Fantastic! 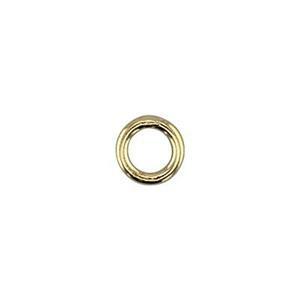 The GJSR84 is a 14/20 Gold Filled 4X.73mm Outer Diameter 21 Gauge Closed Jump Ring. Little Closed Loops of wire – a little bit of fun for taking your jewelry pieces on a creative ride.